When you want to make a great impression at a party, one surefire way is to drape yourself in luxurious fabrics like velvet, linen, cashmere, or best of all, silk. Silk is known for its delicate and smooth texture, its sophisticated, half matte, half shiny appearance, its cool, natural feel against the skin, and its luxurious appeal. This simple fabric does so much to add elegance and style to your body. Imagine if you could bring that same effortless style and class to other aspects of your life… like, for example, your business card? It may sound crazy, but it’s a real thing. Silk laminated business cards bring all the class of a beautiful silk shirt or scarf right to the palm of your hand. Your name, your title, and your company name are all decked out on a smooth, beautifully textured card that reflects light just like real silk. Of course these cards aren’t actually made of silk – and trust us, that’s a good thing. If your business cards were actually laminated in silk, you could count on them crumbling into balls of pretty, but useless, fabric in the palm of your hand. While these silk laminated business cards have the gorgeous appearance of real silk, they’re actually just normal business cards, printed on sturdy 16pt cardstock, and then laminated in a very thin coating of brushed plastic. It’s the brushed plastic lamination that gives these “silk” laminated business cards their unique look and feel – and much more than that. That same thin coat of plastic protects your card as well. We at Elite Flyers believe professionals of all kinds should carry their cards with them always. If that’s the plan, you had better choose a business card that can stand up to some wear and tear. Well, that’s what you’ll get with silk laminated business cards. Their “silk” lamination renders them waterproof, so if you wind up in a storm with a bunch of your business cards in your pocket, you can be sure you can still give them out with confidence once things dry up. They are also resistant to bending and folding, so they’ll keep their classy, brand-new appearance even after they’ve been riding around in your wallet for a few weeks or months! But then again, they look so cool and you’ll be so proud of your unique-looking card, we have a feeling you won’t have any trouble giving them out quickly. So now comes the really tough question. 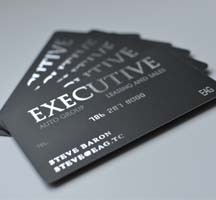 If you order silk laminated business cards, do you always have to dress up to match their slick and sophisticated look? After all, if you’re walking around in a track suit, you may feel awkward handing out a business card that looks more fit for a guy in a tuxedo. The answer is “no.” These cards may be classy, but their appeal is universal and it goes well with whatever you’re wearing. If anything, if you’re wearing a track suit and you give a new friend your silk laminated business card, it might make your new friend suspect that you’re one of those stealthy, casual track suit-wearing millionaires. That’s not a bad thing to have people thinking about you. So get it together and bring some easy sophistication to your image. 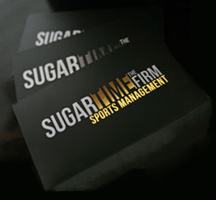 Silk laminated business cards are not just easy to design and order – they’re also extremely affordable. 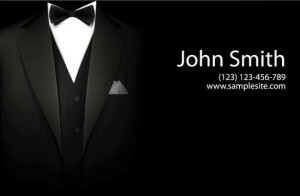 If you order from Elite Flyers, you’re guaranteed to get the best prices in the nation on silk laminated business cards. 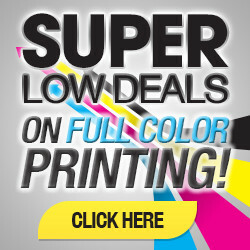 You can print 5000 for less than 5 cents per card! That’s not much to pay to overhaul your image and obtain a beautiful, unique business card that clients and future clients will certainly want to follow up on. If you have questions, reach out with an email or a phone call any time. Thanks for choosing Elite Flyers – you’ll be happy you did!